Many woodworkers, whether amateur or professional, will agree that the centerpiece of any good workshop is its table saw. Th​is style of power saw is both a powerful piece of equipment and a significant investment, but can prove essential to anyone who needs to cut wood regularly with power and precision. With that said, the specific table saw you’re looking to buy can differ greatly based on exactly what you’re going to use it for. We’ve taken the time to survey several options in the world of table saws, each with different features and at different price points. 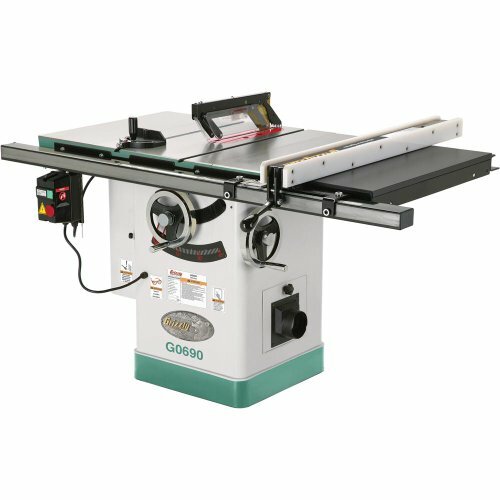 ​Our table saw reviews will help take the guesswork out of ​what you need and which offers the best options. Spoiler alert: If you want to skip all the reading, our vote for the top model is the Sawstop CNS175-TGP36​. The safest saw on the market, this precise tool can handle all of your projects, both large and small. ​Like so many other tools that you can purchase, table saws come in a variety of sizes and prices, with a wide range of functions. We've done the hard work and found the top options in the categories we feel are the most important. If you're brand new and looking to pick up your first one, we've found some great options for a very reasonable price. On the other hand, if you're a contractor or serious woodworker, we've culled through the high-end options for the find the safest and feature-full ​saw in it's class. ​The SKIL 3410-02 ​It is an ideal choice for the beginning woodworker, the home hobbyist, or anyone either just starting out or trying to maintain a modest workshop budget. At a mere 45 pounds, the SKIL 3410-02 is an incredibly lightweight and mobile option. It’s also easy to travel with, as it features folding legs. When it is set up, it supports a 20 x 26 cast aluminum table, which can also extend another 6 inches for cutting longer ​strips of wood. ​With its attractive price point, the ​SKIL is one of the ​cheapest table saws we’re going to be looking at in this review, and gets our vote for the ​top option in this price range. Despite being one of the lightest saws ​around, the stand and legs are made of heavy-duty steel. This makes this saw more durable than some others within its ​same price point. It also helps cut down on shakiness and vibration during use. ​In fact, it is these legs that make this saw more desirable than other lightweight, flexible saws within this price. They give the user the ability to transport the saw easily, set it up on site quickly, and get to work without needing the help of a separate table or bench as a mount. ​As far as power is concerned, the SKIL 3410-02’s 15-amp motor is a pretty standard amount of power for this size saw, yet it runs at an impressive 5,000 no-load RPM. With this kind of power under the hood, the 3410-02 will be able to handle most of your standard home improvement jobs. It won’t be of much use to those who either need to cut hardwoods or are going to be demanding constant performance from it. This saw is not for use in a professional context. The motor just isn't strong or robust enough to handle a professional's workload. This ​SKIL uses standard 10” blades and comes with a 28-tooth blade. This is not ideal, but will get you started, and you can then easily replace. The right rip capacity for this saw is a solid 24.25 inches, with a left rip capacity of 12 inches. When it comes to precision, the ​SKIL 3410-02 comes with a self-aligning rip fence and SKIL’s EZ-View measuring system to help you line up your settings. Despite the attempts to give you precision cuts, we should mention that some users have complained the alignment is less than perfect. ​As far as safety features go, this SKIL features a riving knife, blade guard, and a quick disconnect feature. ​Another of the more common complaints about his model is the fact there is no dust control whatsoever. As a result, if you’re planning to use this saw at home, a facemask and sufficient ventilation are required for your health and safety. Luckily, because of the light weight and portability, this saw is easy enough to use outdoors. This may be preferable anyway, as the motor runs a bit loud for indoor use. In summary, as long as you know what you’re getting into and aren’t expecting this saw to run at professional levels of performance, the ​SKIL should hardly disappoint. For the incredible value that it is, is quite a good deal for a beginning woodworker. ​FYI, we've put together an in-depth review of the best table saw under $300, where we go through all of the top options in the price range to find the top recommendation. ​Considered one of the great compact​ saws in a similar price range as the Skil, the DEWALT DWE7480 is the ideal option for those with light to medium amounts of work to do. It is also good for users who want their table saw to be able to travel with them easily. Dewalt is known for their quality products, and for those who already own power tools by them, the DWE7480 won’t be a disappointment. An ideal combination of power and portability, the ​DWE 7480​ has a solid rip capacity of 24.5 inches, and operates with a hearty 15-amp motor. Pulling it out of the package, you’ll see this saw comes with a miter gauge, pushing stick, blade guards, and a standard 10-inch blade with carbide tips. Similar to other saws in this price range, the blade it arrives with is not the highest quality (24-tooth). Most users will want to replace this with a 40-tooth or better. ​Regardless of which blade you’re using, once you’ve got the DW​E7480 up and running, the substantial power of the motor, ease of use, and compact design will allow you to cut pressure treated lumber or hardwood with ease. ​The telescoping fence will keep your material steady and the DW​E7480’s rack and pinion fence system, combined with both front and rear fence lock, gives you the ability to cut with incredible precision without needing a large cabinet for balance. ​Expertly designed to minimize the amount of space it takes up, one of the great features of the ​DWE 7480​ is that at only 48 pounds. It can easily be taken on and off-site for professional use, stored out of the way, or loaned out to friends and colleagues with little fuss. When it’s time to travel, the blade can be retracted, ​so that the entire piece travels quite efficiently. The Dewalt DWE7480’s steel roll cage protects the saw from accidental drops and impacts which might occur. You can feel comfortable bringing the DWE7480 with you to the job site, no matter how busy or chaotic it may be. This compact little powerhouse, which only requires 120 volts to run, easily makes up for its size with its solid construction, cutting accuracy, and sleek design. Like all of the ​power saws we've reviewed here, this one provides you with the opportunity to make tool-free adjustments before you cut. The highly effective guarding system gives you a high level of safety as you operate. One of the common (and only) complaints about the ​DEWALT DWE 7480​ is its inability to use dado blades. For those who don’t know, dado blades are used for chipping or cutting grooves into wood. If that’s your goal, this is one of the few drawbacks which might prevent you from choosing this saw. ​Max Depth of Cut: 3.125"
​Also, for those doing heavier-duty work, this saw won’t be powerful enough, as it cannot handle certain hardwoods and other, more intense jobs. 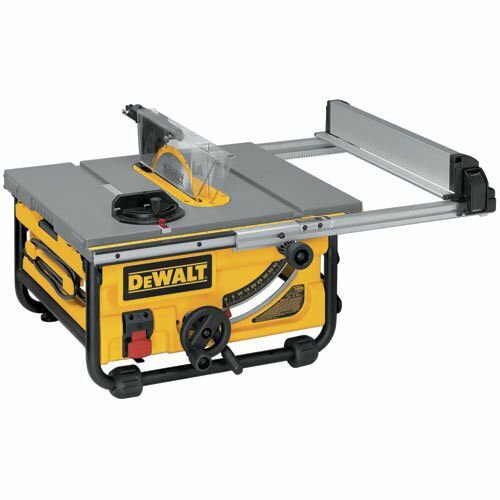 Otherwise, like most Dewalt products, the ​DWE 7480​ is a reliable, powerful, and expertly designed piece of equipment, which we call the best cheap table saw in its class. ​Our third review is of another portable saw in a slightly more advanced price bracket. For the money, this option will give you a serious upgrade in features for not a whole lot more money. 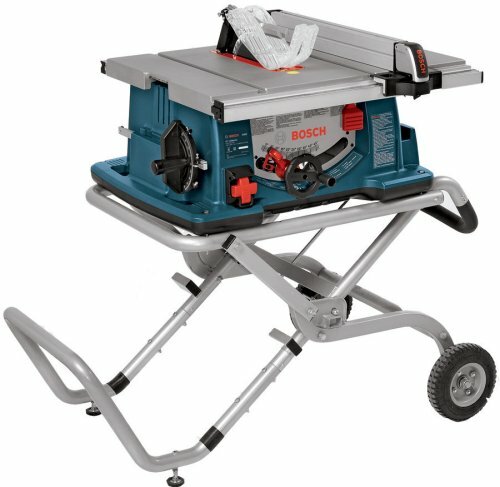 ​We​ can’t necessarily call the Bosch 4100-09 one of the ​top inexpensive table saws. But for the price, it certainly is one of the best compact table saws on the market. This ​Bosch worksite saw​ is ideal for professionals as well as those who need a relatively powerful saw that can move around quickly, set up easily, and doesn’t take up much room. The signature feature of this model is the Gravity-Rise Wheeled Stand, which makes it incredibly easy to set up, while giving you adjustable height options to suit your needs. ​Also, while you’re in between jobs, the 8-inch pneumatic treaded wheels make it convenient to move from site to site, even if these sites are covered in irregular or bumpy terrain. The safety features include excellent kick-back protection provided by no-kickback pawls and a riving knife, while the SquareLock rip fence ensures the trueness of your cuts. A cam lock makes for tool-less installation or removal of the blade guard, and adjustable side guards make it easy to measure between the rip fence and the blade. ​This saw comes equipped with a 40-tooth, 10-inch carbide-tipped blade, and a large (29” x 21.5”) table area. It has a 12-inch left rip capacity, and 25-inch right rip capacity. The Bosch 4100-09 is an incredibly powerful and flexible piece of equipment. Designed for durability with a powerful 15 Amp, 4.0 Horsepower motor. At only 60 pounds, this saw is still easy to get around without help, and its 6-foot cord length makes for convenient connection once you’ve arrived. A solid choice, that moves easily, for accurate, safe, and quality cutting on the go. If you’re pressed for shop space, need to travel with your saw, and don’t have industrial levels of work to do, the ​Bosch 4100-09​ is a great option for you. ​For those who are looking for a more serious table saw, but don’t quite need the power of the more expensive options yet, the ​Shop Fox W1819 3 HP 10"​ Saw with Riving Knife is a very high quality hybrid available for ​a reasonable price. This sturdy and sleek piece is considered one of the ideal marriages of Contractor and Cabinet models available out there today. Although technically a Hybrid, the ​​Shop Fox W1819 Saw​​ is a pretty serious customer, weighing in at a solid ​457 pounds. The design is similar to having a full table saw ​on wheels. The real achievement of the W1819, though, is that despite its sturdiness, because of its kickstand-operated mobile base, this substantial piece of equipment can also be easily moved around if and when it’s time to go. Thanks to an innovative design, a simple kick is all it takes to get the wheels rolling again, either to take it out of the way for storage or to switch positions based on the nature of your project. Essentially, the plus of the ​​W1819​ is that it has some of the top features on the market, including its strength, its excellent dust control (it has a 4” dust port which can be connected to your shop-vac), and its mounted trunnions. ​However, since it ​runs on 220V, you might need to make some adjustments to use this saw, but it's totally worth it. This sturdy hybrid has a ​29.5” right rip capacity and a 15” left rip capacity. The fence lifts off and has front and rear locking capability, and the riving knife protects you from unwanted kick-back. Fitted for a 10” blade, and with beautiful powder coated paint, another bonus is that the look of this Hybrid is the epitome of classic style. Very handsome. This belongs to our top picks because this Shop Fox saw is all about serving top-notch performance and accuracy with all of its exquisite features and specifications. ​Max Depth of Cut: 3.25"
Overall, the ​Shop Fox W1819​ is a good-looking, sturdy, mobile hybrid. 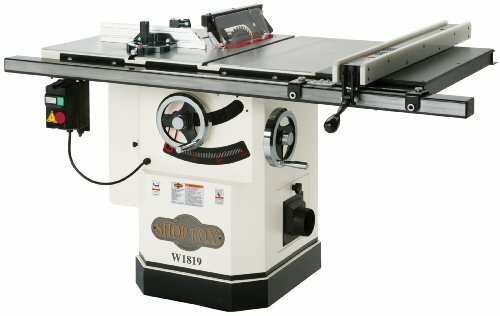 ​This is a really solid and highly regarded table saw, ​and has all the features a contractor needs. 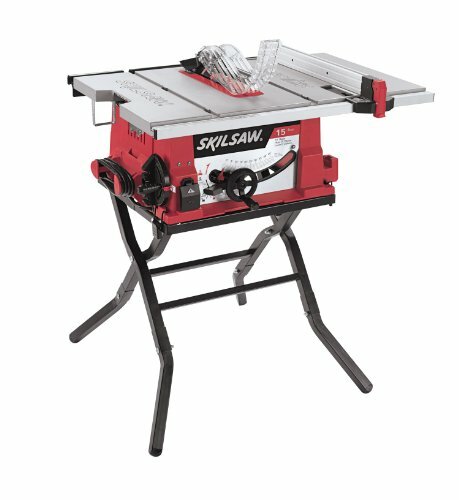 ​For those of you who are interested in making a​n investment in safety, Sawstop has made an incredibly high quality contractor table saw in the CNS175-TGP36. The professional T-Glide fence system is built from high quality, hardened steel for precision measurement and stability every time. Even though it’s considered a contractor saw, it has a huge 36” right rip capacity. Weighing in at 341 pounds, with a 1.75 Horsepower engine, this is a serious contractor saw ready to do some real cutting. According to the company’s mission, this saw features a big emphasis on safety. The real difference between Sawstop products and the rest of what we’ve looked at today is their commitment to safety. In fact, their company is named after their signature safety feature, the Sawstop system. The unique quality that every Sawstop has is the ability to minimize risk with their unique Sawstop system. This makes it virtually impossible to seriously injure yourself with the saw blade. Miraculously, as soon as skin makes contact with the blade, the blade will automatically stop spinning and retract beneath the table, within an incredible five milliseconds of contact. Of all of the products we’ve looked at, this, by far, has the most effort put into making it incredibly hard to hurt yourself. After the blade has retracted, and you’ve decided the situation is safe, you can reset the blade. Within 90 seconds of a potential accident, as long as you’re comfortable, you’ll be reset and ready to get back to work. This saw has some different add-ons available, which cost extra, including cast iron wings, which significantly increase the lengths you’re able to cut. The upside to this is that the added weight (about 70 lbs) will also increase the stability and reduce the vibration caused by your operation. In addition to their incredible safety record, because of this level of high-quality design and construction, the SawStop has earned huge praise in the high-end ​saw market, with some users referring to it as the Ferrari of table saws. We’re not sure we would go that far, but we are big fans. For us, this is the best hybrid table saw out there. For those who are willing to spend the money, the ​Sawstop CN175-TGP36​ is a one-of-a-kind contractor cabinet saw. ​The name Grizzly may be less recognizable to the standard do-it-yourselfer, but for those who are experienced with industrial machines, it is a name that is synonymous with heavy-duty quality and performance. One of the heavier-duty table saws we’ll be discussing here is not the most expensive you’ll find on the market.​ Grizzly Cabinet Saw is still a significant investment for a piece of machinery. Luckily, Grizzly makes it worth every penny. Weighing in around 530 pounds, this Grizzly is a serious piece of machinery to add to your workshop. You can be almost positive it’s an investment you’ll only make once. With heavy iron trunnions, heavy cast handwheels, and a precision Ground Cast Iron Table with a total surface of 27” x 40”, even from your first look at it, the G0690 just seems to communicate quality and durability. The T-square style rip fence makes for precision cuts every time while the miter gauge t-slots keep you on track. Safety features include riving knife, quick-release blade guard, and a stick for pushing the wood through the blade. Also, no matter how hard you’re working, you’ll keep your sawdust to a minimum with the Grizzly’s 4” dust collection port mounted to a quick-release door. Built to perform, with a 3 Horsepower, 220-volt engine and triple belt drive for added torque, there’s very little you could throw at it that the ​Grizzly ​Saw​ wouldn’t be able to handle with its 29.5” right rip capacity. A real class act, with the power that its name would suggest, the only downside is the weight of the machine, and the time it might take to assemble. Like any quality piece of machinery, though, you’ll get out of it what you put in. In other words, as long as you’ve got a few friends to help you move it in, and a few hours to set it up, you’ll be treating yourself to a ​high end ​power saw​ that’ll do great work for years. We have this Grizzly as the best cabinet table saw on the market. ​Max ​Depth of Cut: 3.125"
​Right rip capacity of 29.5"
The three main factors to take into account when looking at table saws are known as “the three Ps”: Power, Price, and Portability. Depending on what your particular needs are at a given time, you can shift the emphasis between these three factors. ​This will help you decide how you'll use the power saw, and then let you focus on the most important table saw features needed. First off, let’s define what a table saw is. Then, we’ll discuss the different ​variations of table saws that exist. A table saw is any saw with a spinning, circular blade that is mounted on an arbor, and projects up through a base. For a table saw specifically, the circular blade is mounted to a table, which provides stability as the wood (or other materials) is being ripped or cut. Within this broad definition, there are many different ​versions of table saws which exist. Each of these can serve a different purpose. ​This review should help to give you a better sense of what you might be looking, based on your woodworking needs, your level of skill, and how much money you’re willing to spend. What is the best​ hytbrid table saw? What is the ​top table saw model for home use? What is the best table saw for under $1000? These will all have different answers. They depend on your needs, budget, and experience level. And so, first, we’ll have to zero in on what you’re looking from in a table saw. ​Mobile power saws allow you to have most of the features that a table saw provides, but with the convenience of being able to bring the table saw anywhere. ​These easy-to-assemble and quick-to-move saws are great for a couple of reasons. They are often times the least expensive, making them a great candidate for the best cheap table saw. They are easy to store, making them ideal if you don't have a lot of space. For contractors and professionals, this transportable table allows you to bring it to your jobsite. There are many times where you just can't do all the cuts and rips back at your shop. We've done an entire review on the ​top portable table saw on the market. But, we did want to touch on what to look for in ​this type of saw. Below that, we dive into the other types ​available. Benchtop saws are the smallest, lightest, and (usually) least expensive type ​available. This also means they are going to be the least powerful. For many beginners, or those who need a saw with a lot of portability, this might be the perfect option. As the name suggests, these saws are not built with their own base. Instead, they are designed to be placed on a bench, table, or other support while they are being used. They don't come with the "table" portion of the table saw. The upside here is that this makes them much easier to move around than a full-sized table saw with its own ​enclosure. In fact, most of the time, they’re designed to be mobile and move easily from job to job. As a result, bench-top saws are often lightweight enough to be carried by one person, sometimes even with one hand! Your average bench-top table saw will weigh in somewhere between 40 and 50 pounds. This pales in comparison to some of the heftier ​options we review below that weigh in at over 200 pounds. The bench-top table saw is ideal for the hobbyist or home woodworker who isn’t going to be using the saw every day, and doesn’t need a heavier-duty saw. 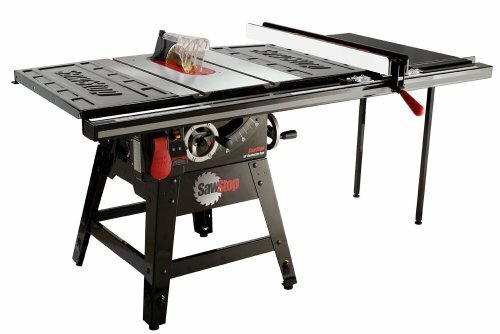 The bench-top model is also ideal for someone with a smaller shop that doesn’t have space for a larger table saw that would take up a lot of room. A bench-top might also be ideal for the woodworker who is just starting out and doesn’t want to make the significant economic investment in a more substantial piece of equipment yet. Jobsite saws are another example of a portable saw, but much more robust than a bench-top model. These saws are still highly moveable, but they are meant to be used by professionals on a job site, rather than a hobbiest in their garage. Thus, a jobsite table saw is going to have a much more powerful motor, and usually comes with added features, such as better fence and alignment adjustments. A ​work site power saw will typically cut more accurately than a bench-top table saw. Depending on the size of the wood you’ll be cutting and ripping, the jobsite might not be enough saw for you. Often times, this kind of saw will come with a foldable stand as well. This makes it very convenient to set up wherever you want. However, just like a bench-top table saw, there are a lot of sacrifices that come with the portability. Contractor, hybrid, and cabinet table saws have a lot more power and accuracy, along with additional features. For those professionals who need the power and stability of a table saw, but are going to be working onsite rather than bringing their materials into a workshop, the jobsite may be just the saw you’re looking for. A stationary table saw is probably more ​typical when you think of a table saw. They are very heavy, very powerful, and very accurate. Unlike a portable ​model, stationary ​models come with a base, or have to be mounted to a base. It is possible to get a mobile base for your stationary table saw, so that you can move it around your shop. Stationary saws provide a much more sturdy cutting surface, because of their weight and stability. They utilize belt drive motors, which makes them much more powerful. They also come with a lot more features, such as larger tables and extended fence rails. This allows you to be a lot more accurate with your cuts. Contractor saws are larger and heavier than any of the earlier saws we’ve mentioned. But, they are attached to a base, which will often have wheels. This makes the saw movable, but not designed to take from place to place. Contractor saws were designed to be an alternative to larger and heavier enclosed saws (discussed below). Contractor table saws normally have a larger table or cutting area than the other saws we’ve mentioned. As a result of their increased power and size, they can weigh up to 300 pounds. For homeowners or those working on DIY projects, a Contractor table saw is often a good choice. It will provide plenty of power and stability for more serious jobs. Although they are more powerful, standard home circuitry can usually handle the electrical load required to run a Contractor saw, so no special outlets need to be installed. To be honest, ​this style and make of ​saw is a bit outdated. Designed to be the mobile alternative to the cabinet-style, the onset of new, portable table saws has made the contractor model a bit irrelevant. While they are more movable than a robust, heavy-duty table saw, you would do better to pick a mobile table saw if that is what you are looking for. As the name suggests, the Hybrid table saw lands somewhere between a portable and a stationary table saw. It is a hybrid regarding its ability to move around. Regarding its price, manufacturers have started producing them to bridge the gap between professional-grade and weaker, consumer-strength saws. The hybrid will usually have most of the heft and power of a stationary table saw. It still often has the ability to move, although not as easily as the three saws that we’ve mentioned already. Whether they have larger enclosures with wheels or enclosed bases with legs, they usually have motors in the 1 ½ to 1 ¾ HP range. At this stage, the hybrid table saw should really just be labeled as a cheaper version of the cabinet table saw. It is yet another class of table saw that is not truly easy-to-move in nature, but not as heavy and sophisticated as a fully enclosed table saw. This is the one you’ve been waiting for. When you think of a serious table saw like the ones from high school shop class, you’re most likely thinking of a ​cabinet table saw. For those who take their work very seriously and do not need the ability to take their table saw on site​, this style of table saw is the only way to go. For serious power, precision, and in my opinion, a handsome piece of equipment, this is the one to have in any shop. These machines are durable, powerful, and precise. As a result of employing either iron or steel in their construction, they end up being the heaviest of the ​their class. The solid body Construction gives ​these a more stable base, which reduces the amount of vibration, and increases the accuracy of your cuts. Sometimes these monsters can weigh up to 500 pounds. When these are used at home, their powerful motors, usually between 3 and 5 HP, often require that heavy duty (220 volt) circuits be installed. The trunnion, which is the part of the saw where the blade is mounted, is usually housed within the enclosure. The added stability of this construction gives your cuts more accuracy. Also, because of their solid construction, these saws are consistently more durable and last longer than smaller and more movable​ versions, sometimes literally lasting a lifetime. In cases where the saw is going to be doing serious, repetitive work or work that requires lots of power, such as regularly cutting into hardwoods, this style of saw is the only choice. Powerful, precise, and usually pretty pricey, this saw is a serious investment for the serious craftsperson planning on doing regular work, who wants to do it well. We say “serious,” because the investment ​can land in the range of several thousand dollars. Before you purchase one of these behemoths, though, make sure you have plenty of room to house it, and some friends that are willing to help you move it. Once it’s in place, it’s not going to budge easily. Bench-top Saw: Great for beginners slowly developing their need for a table saw, and those who won't be using it often. Jobsite Saw: Perfect for professionals that need a portable table saw to take on the job with them. Contractor Saw: There isn't much of a difference between this and the hybrid table saw (listed below). In general, this is an outdated ​model type, but still can be a good entry level stationary table saw. Hybrid Saw: This can be a good model to buy as your first stationary table saw. It usually comes with more features and a better motor than the contractor table saw model, which is out of date now. A hybrid table saw stradles the line between the bench-top and jobsite​ models. ​Cabinet Saw: The perfect (and most expensive) option for the professional or woodworker that wants the best accuracy and power. Large and hard to move, though. Now that we’ve taken the time to familiarize ourselves with the different types of table saws that are available, lets go through the features you need in th​is type of saw. It is important to review this list, as your specific needs should factor in to the table saw you purchase. ​When it comes to this particular style of saw, power is going to be measured either in amperage or in horsepower. The smaller saws, (Bench-top, Jobsite, Contractor, and some Hybrids) will typically have 15-amp motors, which are 1 to 2 HP (Horsepower). They are going to be able to confidently cut through ​wood that is around 2 inches thick with no problems. Once we get to the fully enclosed and robust saws, these will normally feature motors somewhere between 3 and 5 HP. These should be able to cut through pieces of wood which are 3 inches thick or more. ​Your table saw will be able to adjust, usually up to 45 degrees. The adjustment will either be a right-tilt or left-tilt adjustment, depending on the model and manufacturer. Because of the design, left-tilt table saws are actually a bit safer. However, because of their ease, right-tilt table saws are more common. Obviously, ​this style of saw means that ​you’re dealing with blades sharp and powerful enough to easily cut through wood. You will want to keep your fingers as far away from the blade as possible. Despite your caution, though, you’ll still need to guide the piece being cut in a way that will give you accuracy and precision. This is precisely why the blade guard exists. Typically these are made of clear plastic. The blade guard attempts to allow the user to see the cut as its happening, while keeping the blade sheltered and away from the user’s fingers. Every table saw we’re looking at will feature a blade guard as a standard safety feature. One of the main safety issues that table saw users come across is that of “kick-back.” Kick-back occurs when the wood which has just been cut pinches back together around the still-spinning blade. The result is that the saw actually kicks the entire piece of wood back at you, usually at quite a rapid rate. One of the safety features that manufacturers have developed in order to prevent kick-back is what’s called the riving knife. Relatively simple, the riving knife is a sharp piece of metal which is positioned just behind the blade. ​This makes sure the wood you’ve just cut stays separated and therefore doesn’t stick, which is what causes kick-back. As the name would suggest, th​is stick is meant for pushing wood through the blade. One of the easiest ways to keep your fingers safe when operating a table saw is to keep them far away from the blade. A push stick can keep the wood moving towards the blade while keeping your fingers at a safe distance from it. Depending on the model of table saw, th​is stick will have a different design. Each will give you differing amounts of control over the movement of your material. ​Also designed to deal with the issue of kick-back, ​these type of pawls essentially pin down the cut wood so that it cannot go flying back toward the user. These pawls are mounted above the cutting surface and hang on to the wood through the use of their “claws,” which grab the wood once it has been cut. They prevent it from going anywhere before you’re ready for it to move. The table saw fence is designed to ​increase your accuracy in cuts and rips. The fence is what the wood pushes against to keep it steady while it’s being cut. It needs to be perfectly accurate in order to ensure that your cuts are straight. A table saw fence should be adjustable, and able to be locked firmly in one place. As you use it, it should glide across the table with ease. You don't want a table saw fence that sticks or bumps at any point. The miter gauge, similar to the fence, is meant to keep the wood in a particular position so it can be cut according to your plans. The miter gauge works in concert with the fence, to keep the angle on which you’re cutting true. In addition to holding the wood in place, there are calibrations on the gauge ​to ensure accuracy. ​We hope you’ve learned a few things, and feel better equipped to shop for the table saw that’s going to be right for your shop. As we mentioned at the beginning, there is no such thing as ​a singular, top model, as we all have different needs, based on the work we want to do, the features we want, and what we’re willing to spend on our table saw. For those who are looking to up their home improvement, amateur woodworking, or professional construction game, there’s nothing like finding the ​the right table saw for your needs. Whether you need a saw that can move around easily, a saw that will give you consistent, heavy-duty performance, or simply the best saw for the money you want to spend, we hope we’ve put you on the path to the right table saw for you.